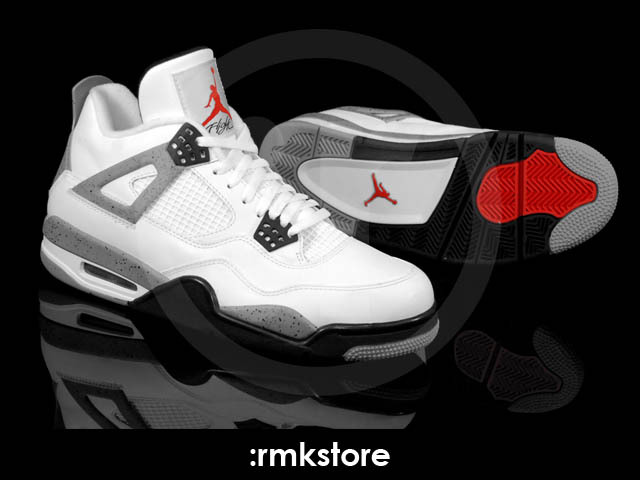 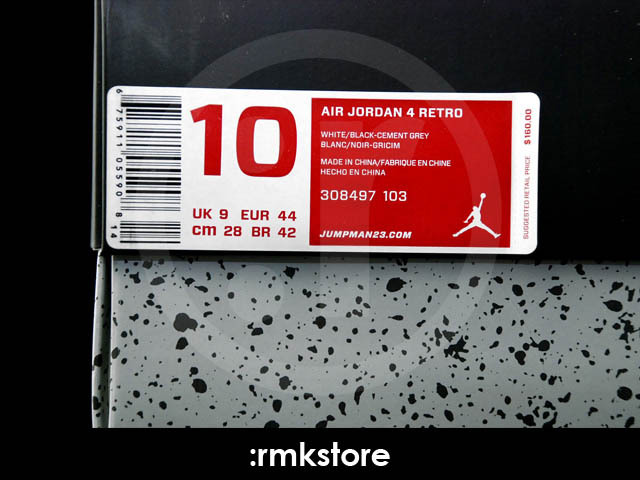 Vintage style 'Flight' script packaging and hang tags are included with this year's Air Jordan 4 releases. 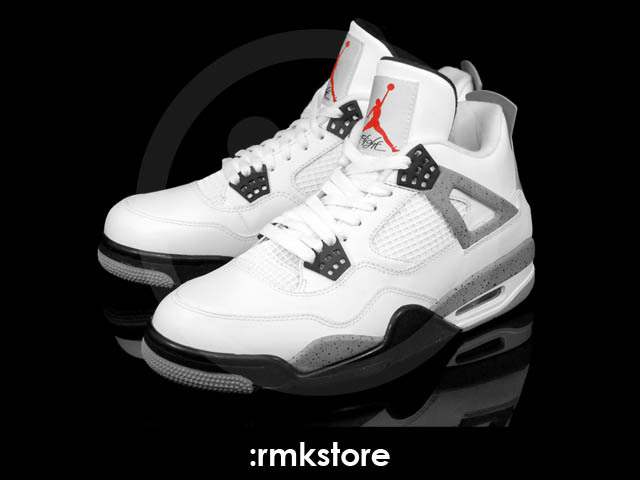 It appears that the Jordan Brand celebrating the 23rd Anniversary of the original Air Jordan releases will be a regular occurrence in the future, which is good news for fans of the Air Jordan 4 in 2012. 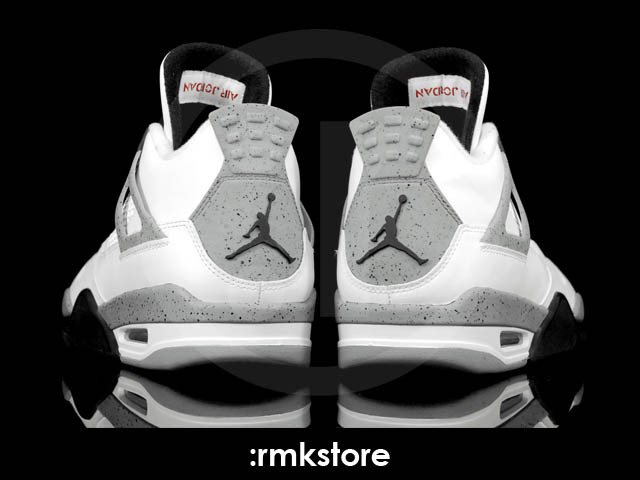 Starting things off next month, the "Cement" colorway will make its highly-anticipated return to retail. 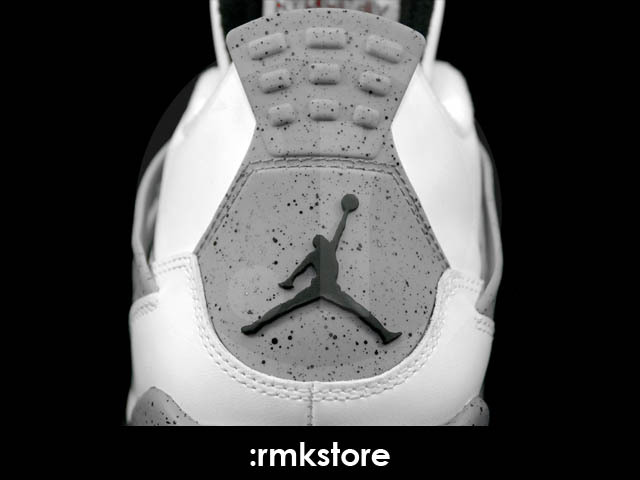 The shoe features a white leather upper with Cement Grey detailing on the support 'wings,' heel and midsole. 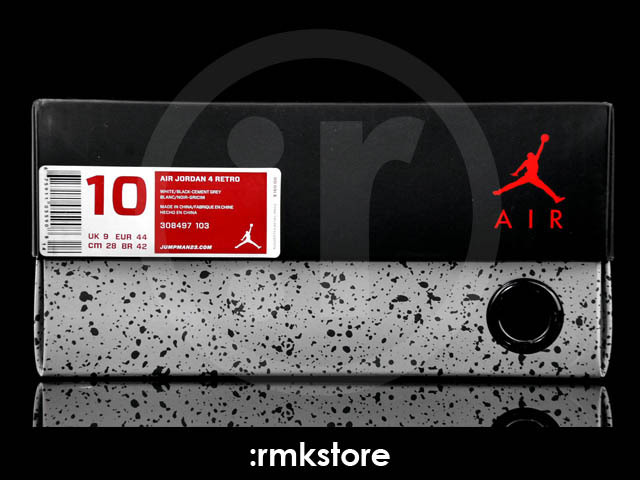 Black works the upper and lower lace tabs, tongue padding, Jumpman branding on the heel and front portion of the midsole, while a multicolor outsole caps off the classic look below. 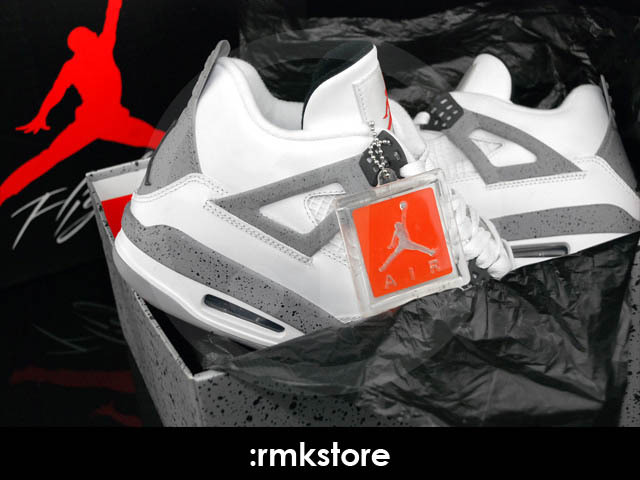 What puts this year's Air Jordan 4 releases over the top is the inclusion of vintage style 'Flight' script packaging and hang tags. 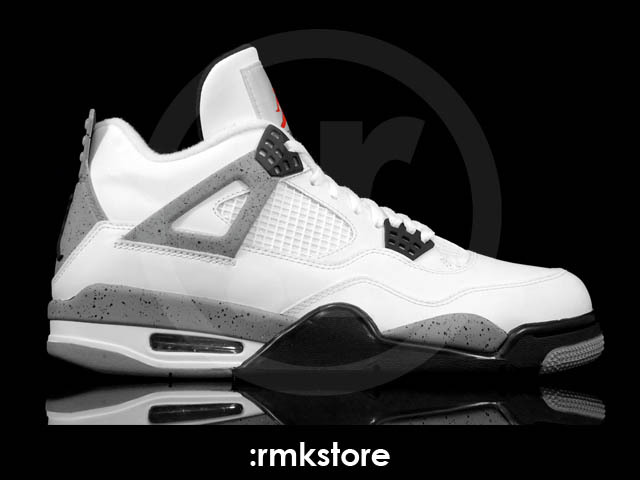 Priced at $160, these will officially drop on February 18th.